SQUIRRELS. Cute critters though they may seem when you see them scurrying about parks and trees, but their sinister side is never too far off: a pack of squirrels allegedly killed a stray dog in Russia, after a pine cone shortage drove them to extremes. And not just that, but they’ve been known to go after birds. And I need not remind you of my own close brush with Flying Squirrel Death when I encountered the Supreme Court Attack Squirrel. 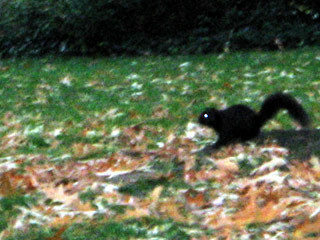 So now we know why White House grounds staff put out nut feeders: it keeps the murderous buggers off us and our pets! Beware. 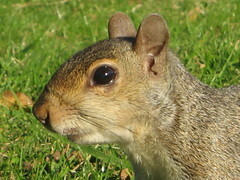 A nearby squirrel may already have its eye on you. Next post: What? December Already? Twenty bucks says this story immortalizes the meme once and for all. Nice photos! Did you took them? I got your blog courtesy of a friend of mine, Noelle de Guzman. Hope you check out and link my humble blog. Thanks! You should just end the horror and sic your cat on the little buggers. That’ll teach those nut-stealing cretins a thing or two!